These instructions are applicable if you are using Syncrify client on Windows. Additionally, they can be used on both Service-based as well as Integrated client. 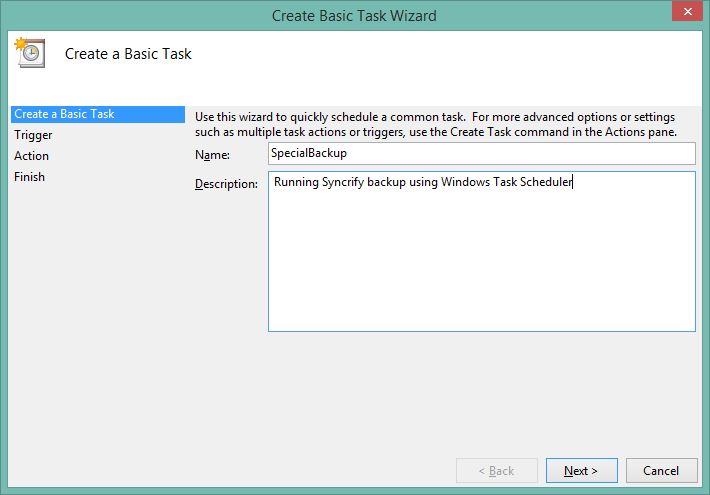 Although Syncrify uses a background service to trigger backup jobs, in certain conditions you might want to create these tasks manually using the built-in Windows Task Scheduler. One such example is running backups on customized schedule. 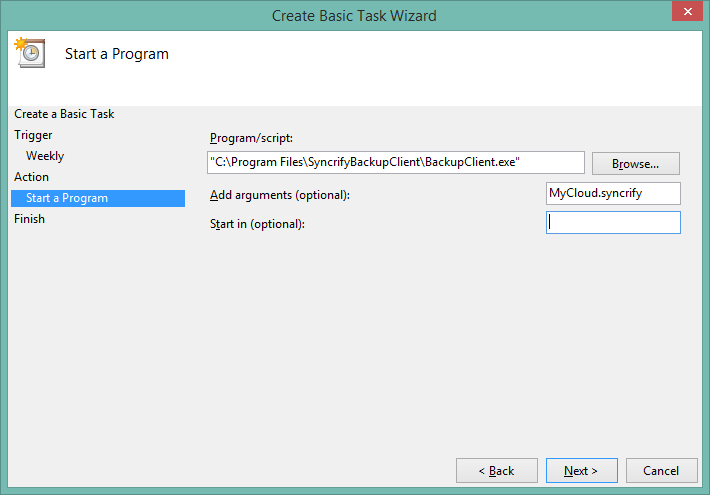 For instance you can use the following steps to run backups only on certain weekdays. 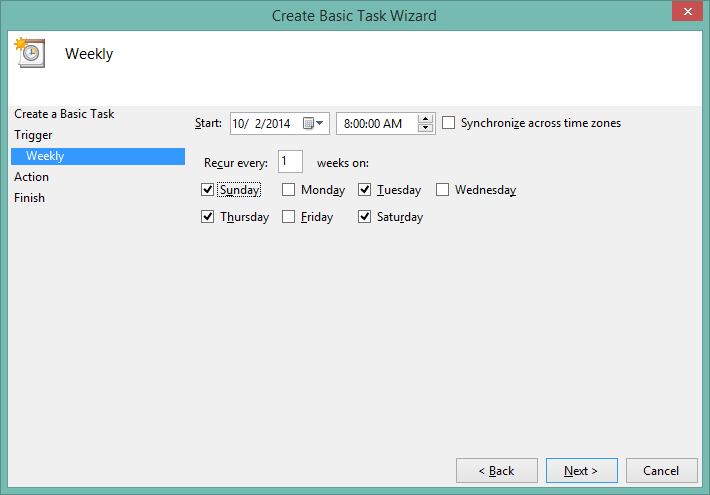 Start Windows Scheduler. 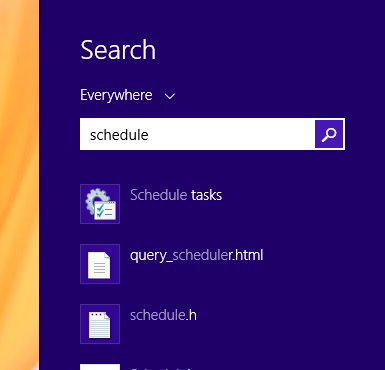 On Windows 8, search for the word "Schedule". See image below. 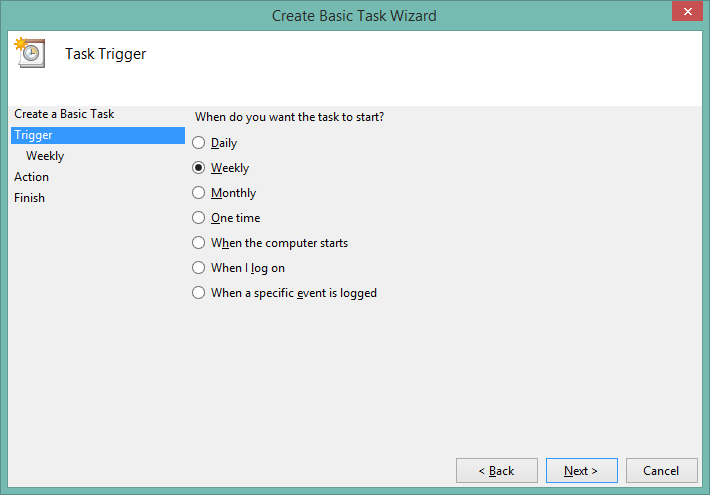 Then, Create a Basic Task. IMPORTANT: Several variations occur for the EXE name. These are: SyncrifyClient.exe, BackupClient.exe, SyncrifyBackupClient.exe . Check the path where Syncrify Client is installed to confirm the name of the EXE file. 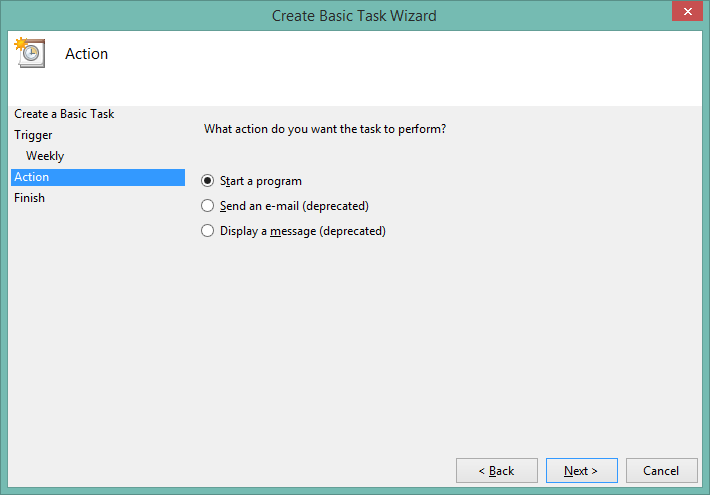 The instructions mentioned above apply to both Service-based as well as integrated client. 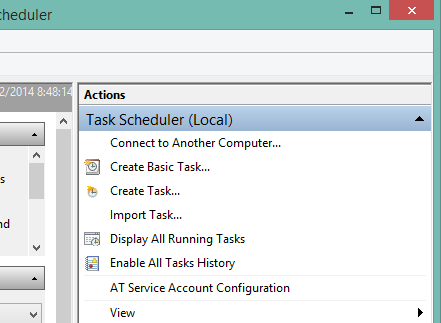 Therefore, even if you use Windows Scheduler to trigger backup jobs, it is recommended you use the service-based client, which has some additional benefits.